Arguably no company has done more to push forward the world of smart LEDs than Philips. Its latest bulb, the Hue White and Color Ambiance, is evidence as to why the company has been a major player in this space since day one. The bulbs have changed little in design since then. These latest ones—released at the end of August—are still shaped like a rounded-off tornado, but they now feature a white heatsink/base instead of a silver one. On the whole, the bulb remains quite demure in comparison to the competition. As a ZigBee solution, the bulbs are designed to work with a bridge that connects to your Wi-Fi router via an ethernet cable. 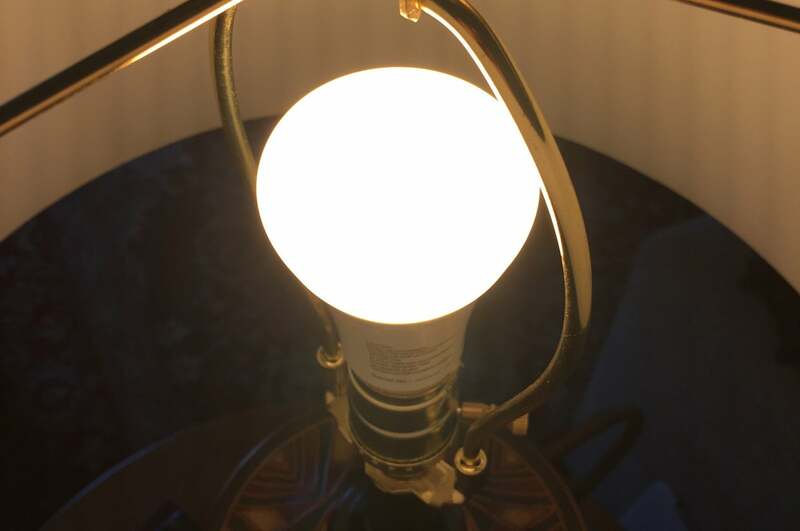 The Philips Bridge, which is smaller and more streamlined than the prior model, costs $60, but it’s included—along with three bulbs—in the $200 kit reviewed here become a standard in its own right and is now compatible with Lightify and GE bulbs. 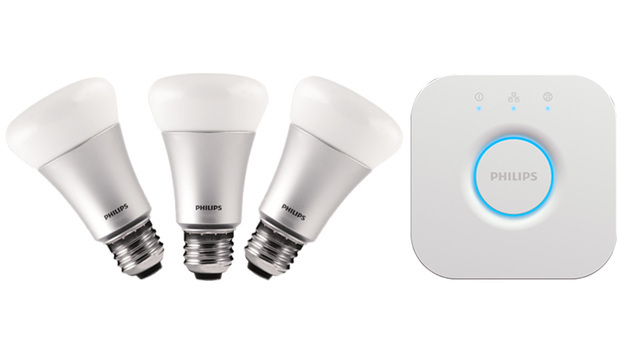 (The latter isn’t represented in this roundup because they only have white LED smart bulbs.) Hue lights also work with Amazon’s Alexa voice assistant (and its Echo, Tap, and Echo Dot hardware), Apple’s HomeKit platform, and a number of other smart-home products. The bulbs themselves have seen some upgrades, most notably a boost in brightness from 600 to 800 lumens, and the light they emit actually seems considerably brighter than that. Perhaps that’s due to the richer blue and green color palate that the newest Hue now produces, according to Philips—colors do seem warmer and more inviting across the spectrum. Bulb lifespan has also been upgraded from 15,000 to 25,000 hours. An external dimmer switch ($25) is available as an add-on. 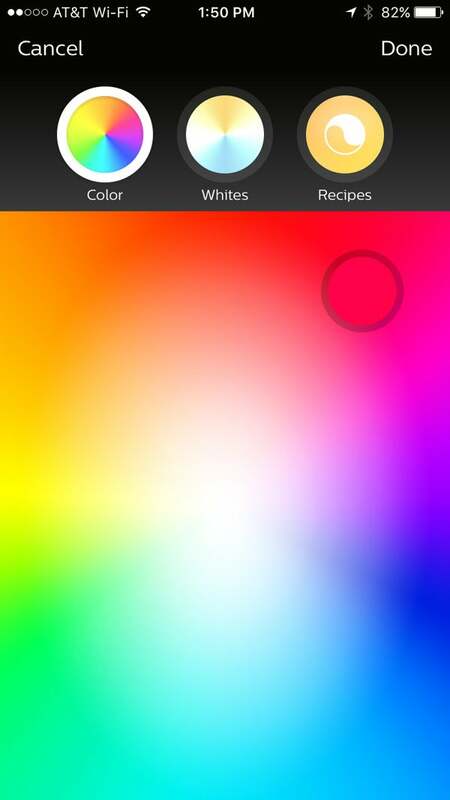 The Hue control app is mature and has been revamped (it’s an entirely separate app download), but it still seems overcomplicated. Partly this is because the Hue is unique in that it will work locally without an account, but if you want to enable some of its more advanced features—controlling lights when you’re not at home or setting the bulbs to turn on or off with your arrival or departure, for example—you’ll need to create one. This is a clever decision that nicely balances ease of use, privacy, and security, but it does add complexity. It also adds bugginess in my experience, due to the app-bridge connection frequently coming undone. The Philips Hue app lacks some of the fun features you’ll find in other smart-bulb apps. While setting up our environment was marred by some glitches—the hub didn’t find the bulbs at first—the bulbs themselves work well. Assigning bulbs to rooms is intuitive, setting colors is simple, and configuring timers (here called “routines”) is quick and easy. Also, the serious range issues I experienced in the prior model have all but vanished here. Philips has completely redesigned its Hue system of lights, and it continues to upgrade it with the smart home fully in mind. The company appears to see a future where an entire home is outfitted with Hue bulbs, all controlled from your phone. That’s a serious vision, with the result of the Hue feeling a bit stodgy—perhaps a bit too much so.